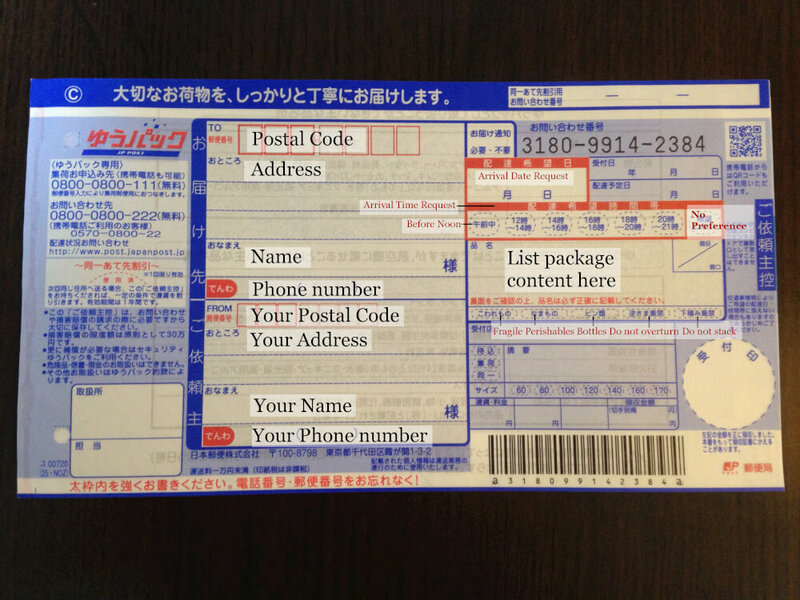 To send parcels within Japan, you can use the Yu-Pack (ゆうパック) service provided by JP Post. It is convenient, fast and very reliable. You can also use this service to send refrigerated goods, golf and skiing equipment to a hotel ahead of your stay, as well as luggage to the airport. No matter which service you choose, one thing in common is that you will have to fill up the Yu-Pack label which looks like this. Use the red one for COD (Cash on Delivery) and the blue one if you are paying for the delivery. 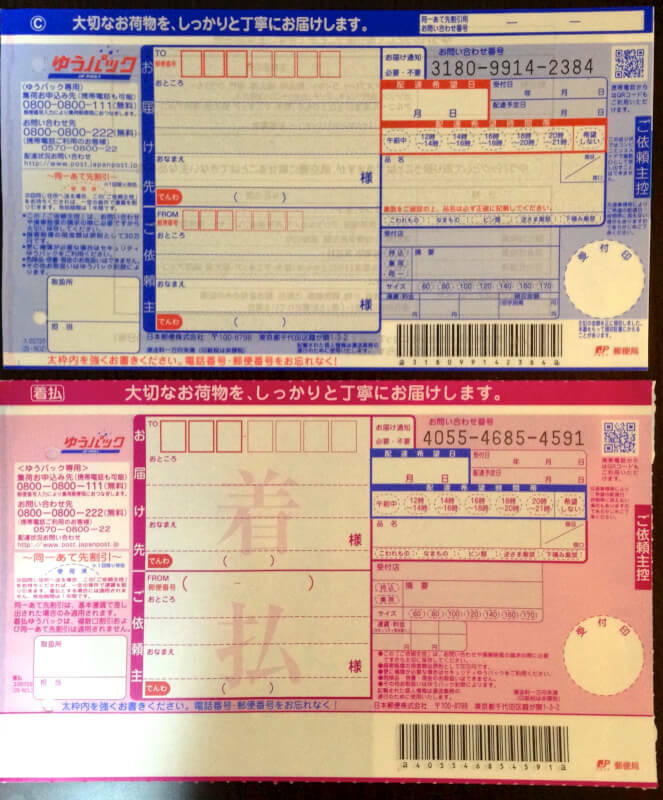 Well, if you have a phobia of Japanese-only forms, fear not, we have translated important parts of the form and you can use the information below to help you along! Filling up the Yu-Pack form. The fields highlighted using the black font are compulsory while those in red are optional. After you are done filling it up, hand it over to the postal officer who will then process it, paste it on the parcel, and then give you a copy. There are two ways of preparing your parcel. You could pack them yourselves using any materials you have, for example, converting a paper bag into a temporary parcel. There are also ready-made Yu-Pack parcels available at JP Post, in 7 different sizes, the cheapest starting from 100 yen. 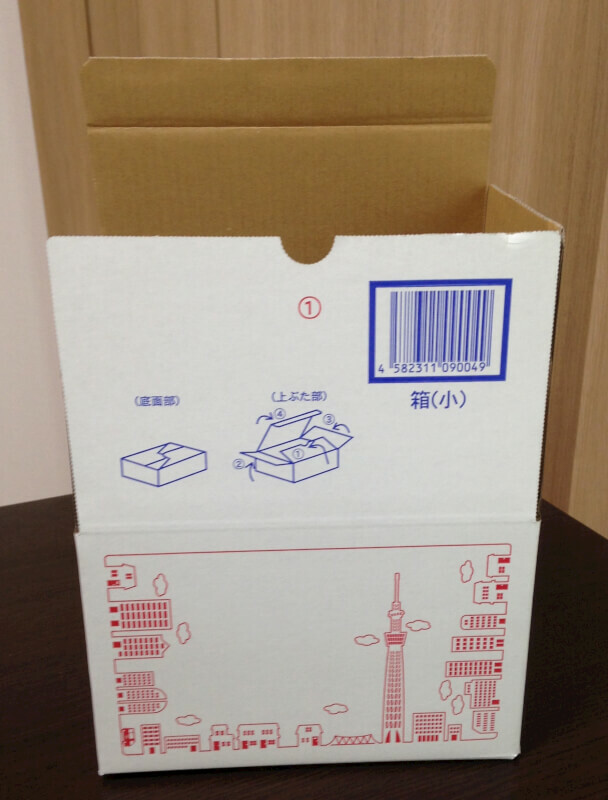 Example of a Yu Pack box. This is the smallest available (size 60). More information about the Yu-Pack Service here.